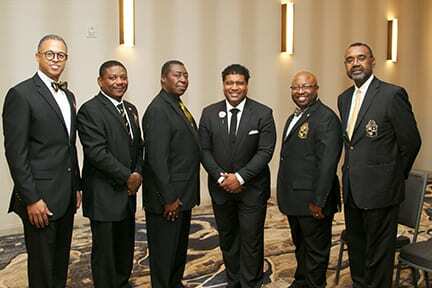 NASHVILLE, TN — The Tau Lambda Chapter Education Foundation, Inc. hosted its 37th Annual Founders Day Luncheon on Saturday, December 2, 2017. 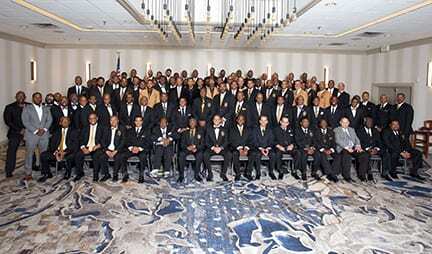 Held at the Nashville Airport Marriott, the occasion was also a celebration of the 111th anniversary of the founding of Alpha Phi Alpha Fraternity, Inc., established at Cornell University in Ithaca, NY on December 4, 1906. 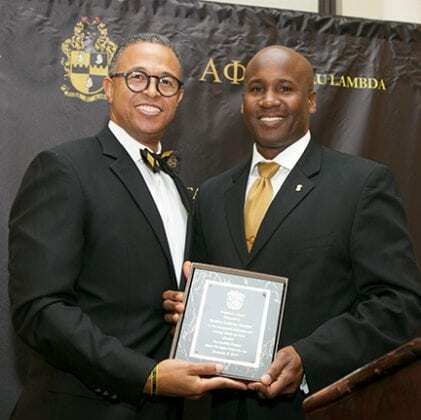 Dr. Damon A. Williams, founder of the Center for Strategic Diversity Leadership & Social Impact, and a member of Alpha Phi Alpha Fraternity, Inc. was the keynote speaker for the event. 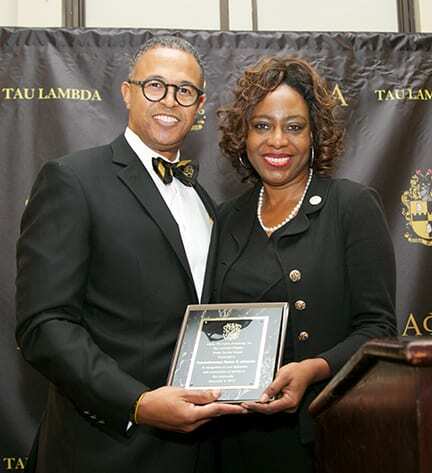 Dr. Williams is recognized as one of the nation’s experts in strategic diversity leadership, youth development, corporate responsibility, social impact, and organizational change. During his illustrious career, he was senior vice president and chief education officer at the Boys & Girls Clubs of America (BGCA), where he led the program strategy for one of the most ambitious social impact plans in the history of the non-profit world, the Great Futures Campaign for Impact. “From the very inception of the chapter’s education foundation nearly 40 years ago, the need to provide Nashville students with scholarship assistance has been our focus,” stated Terrance Gibson, chairman of the Tau Lambda Education Foundation. 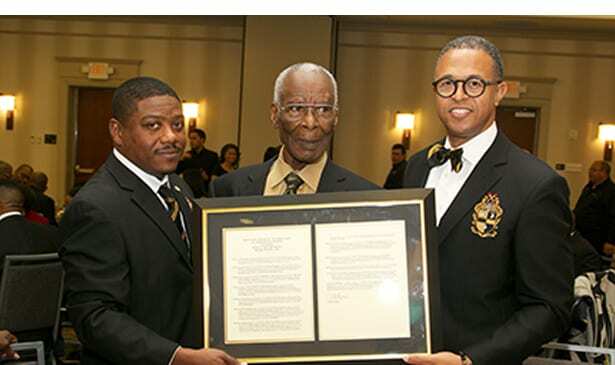 During the luncheon, the foundation recognized the distinguished career and fraternal work of Dr. Calvin O. Atchinson, who at 97 years old, is the oldest active member of the Tau Lambda Chapter, and an active member of the foundation’s board of directors for more than 20 years. Proceeds from the scholarship luncheon will be used to provide scholarships to high school students based on academic merit and financial need. 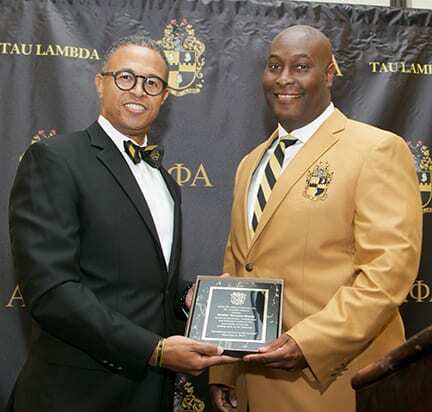 The Tau Lambda Chapter Education Foundation, is a 501c3 organization. 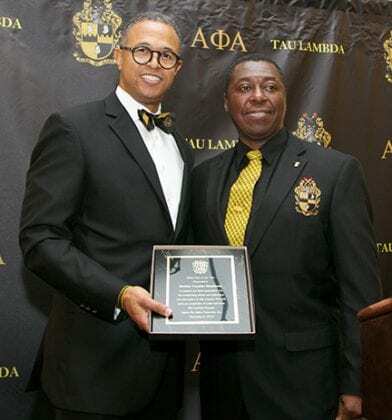 The Foundation, in conjunction with the Tau Lambda Chapter of Alpha Phi Alpha Fraternity, Inc. has awarded over $100,000 in scholarships to deserving students in the Middle Tennessee area for the past forty years. 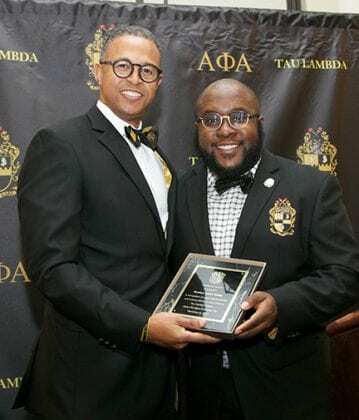 Scholarship recipients are currently attending various colleges and universities, including UT-Chattanooga, the University of Tennessee at Knoxville, Middle Tennessee State University, North Carolina A&T, Morehouse College, and Tennessee State University.